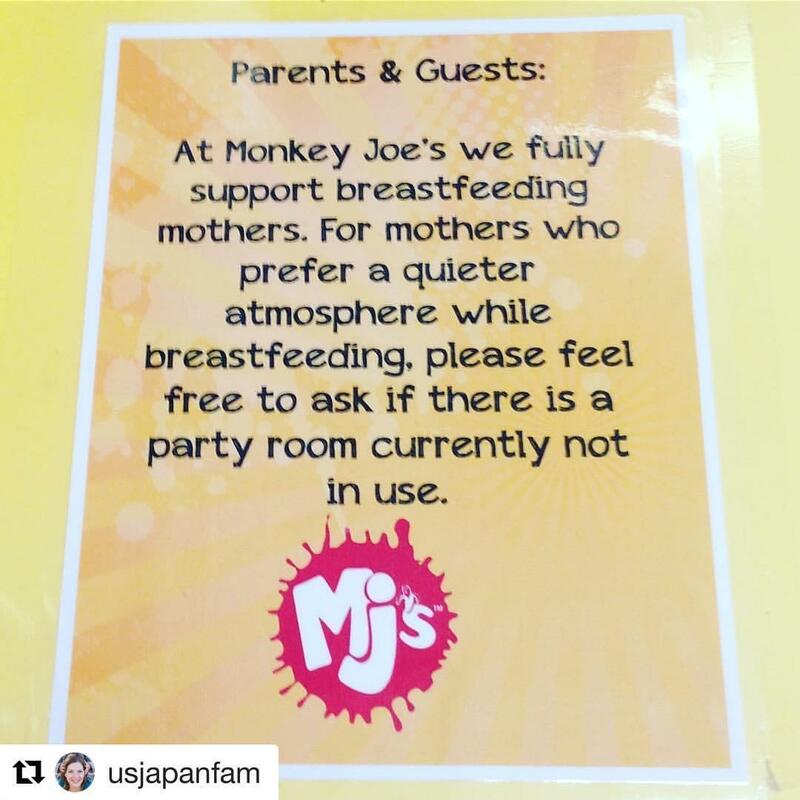 Monkey Joe's in Pineville is a nursing mom friendly establishment. You may request a private space to breast pump or breastfeed. They will offer you a party room not in use.